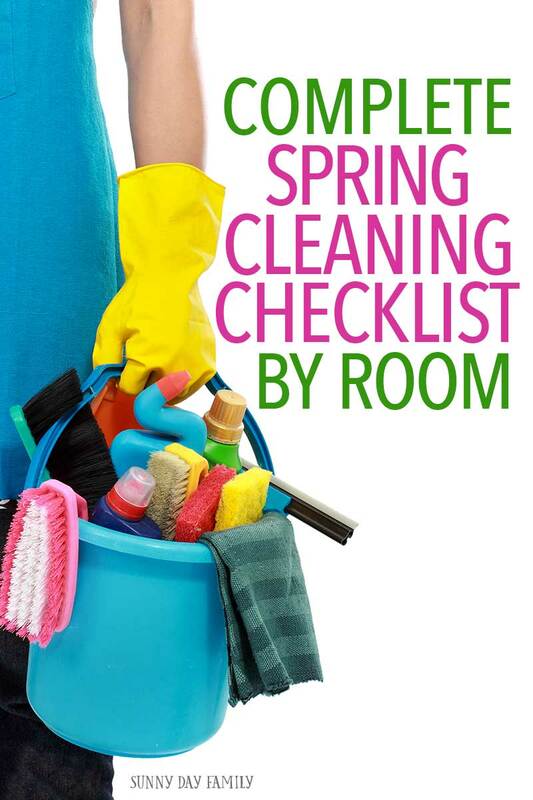 The only Spring Cleaning checklist you need to get every room in your house sparkling clean. Spring is here and that means it is finally time to start opening some windows to get some fresh air after keeping your home closed up for months. Is there anything better than those first breezes to blow away the musty winter air? The fresh air is a great way to start the spring cleaning process and offers inspiration for deeper cleaning. And I have everything you need to conquer your spring cleaning one room at a time. 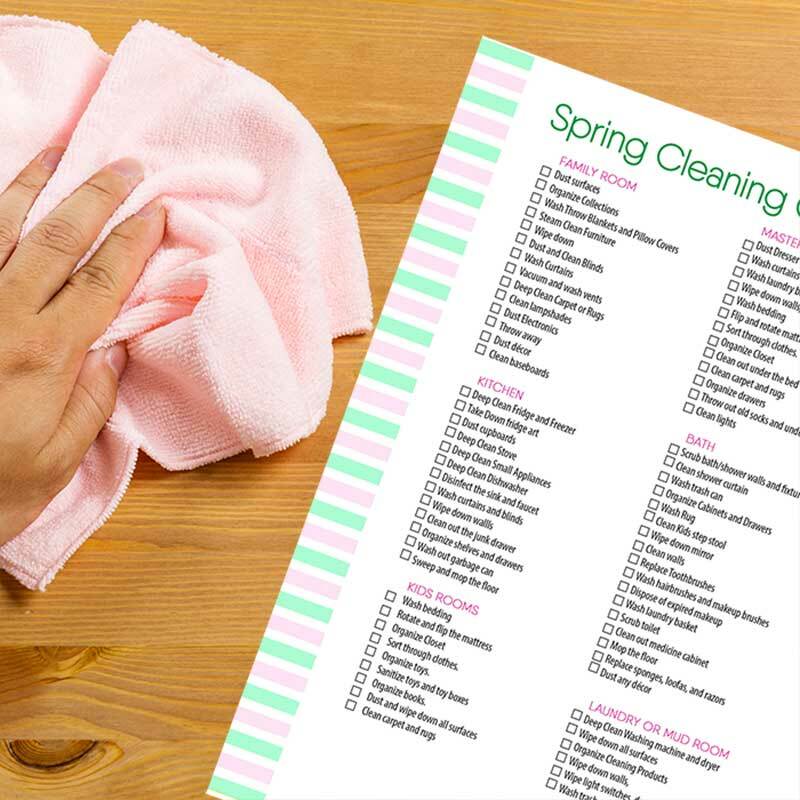 Open up your windows, prop open your doors, it’s time to get cleaning with this spring cleaning checklist. Before you get started you should have an idea of where you want to start. I organize my spring cleaning list by room, and I always start with the "wet rooms" - kitchens and baths. Then once that is out of the way, I can concentrate on rooms that are a little easier like the family room and bedrooms. Begin by cleaning your windows and glass doors inside and out. This way when you’re cleaning you can get the most from the bright light in the sky. The sun will help you stay motivated, give you extra lighting, and it’ll make sure you know when you’ve missed a spot. Deep clean fridge and freezer, defrost if needed. Take down fridge art to make room for more. Dust cupboards and the top of the fridge. Deep clean small appliances: coffee maker, microwave, toaster oven. Deep clean dishwasher and run an empty cycle. Disinfect the sink and faucet. Wipe down walls, cupboards, drawers, backsplash, light switches. Clean out the junk drawer. Sweep and mop the floor. If possible move all large appliances to get behind and under them. Scrub bath/shower walls and fixtures. Clean walls, light switch, door, door frame, and handles. Wash hairbrushes and makeup brushes. Dispose of expired makeup and make a list of what you need to replace. Clean out medicine cabinet, dispose of expired medicines and make a list of what you need. Replace sponges, loofas, and razors. Dust surfaces, including picture frames, tables, and shelves. Organize book shelves, DVD collections, and game collections. Wash throw blankets and pillow covers. Wipe down walls, doors, door frames, and light switches. Deep clean carpet or rugs. Dust electronics and wipe screens clean. Throw away old newspapers and magazines. Dust décor. For smaller items deeper cleaning may be needed to get in the tiny corners. Wipe down walls, light switches, doors, and door frames. Sort through clothes. Donate what you don’t wear. Clean out under the bed. Throw out old socks and underwear and buy new ones. Rotate and flip the mattress. Sort through clothes. Donate anything the kids have outgrown or don’t like. Organize toys. Remove broken ones and donate the ones that aren’t played with. Keep anything with sentimental value that they have outgrown. Sanitize toys and toy boxes. Organize books. Remove torn and any the kids have outgrown or stopped reading. Keep anything with sentimental value. Dust and wipe down all surfaces. Deep clean washing machine and dryer. Organize cleaning products, see what you need to replenish. Wipe down walls, light switches, doors, door frames, and handles. 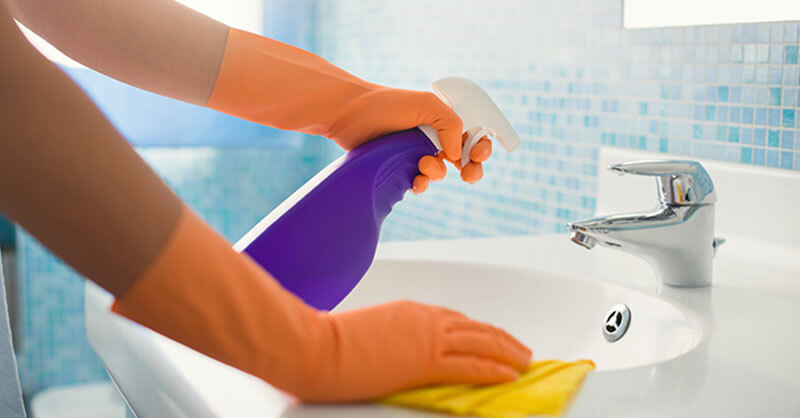 Spring cleaning, as well as everyday house cleaning, can seem like a daunting task. But when you use checklists and break down your tasks by day, week, or month, you can get the job done without feeling overwhelmed. 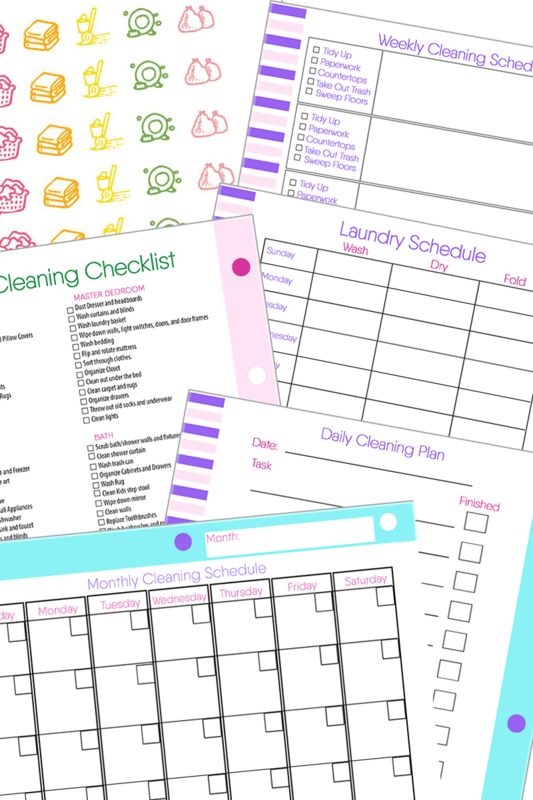 That's why I've created a printable house cleaning planner to help you get organized and tackle all your cleaning projects. Simply click the Get It Now button to grab yours and start cleaning with less stress. Once your spring cleaning is complete, keep your house clean with a few simple things that you can do everyday. Check out the 5 things I do every day to keep my house clean and organized here! You can also find more cleaning tips and tricks here. I find checklist powerful for accomplishing tasks. Good luck on your spring cleaning!